Today, June 27, 2013, the Israeli Civil Administration served thirty-four demolition orders in the Susiya village, which is in Area C and surrounded by the Israeli colony of Suseya. Due to previous demolition orders, every existing structure in the village is now threatened with destruction if they do not obtain permits by July 17. The residents of Susiya include more than thirty families, who were all evacuated from their homes in the old Susiya village and forced to relocate 200 meters to the southeast, in 1986. 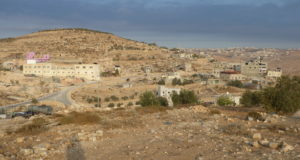 Susiya residents collaborate with the nearby villages in Masafer Yatta, a closed military “firing zone,” also in Area C and threatened with demolition. On July 15, a hearing will decide whether all the villages in Masafer Yatta can be evacuated by the military. Hafez Huraini, leader of the South Hebron Hills Popular Committee and himself a refugee from 1948, emphasizes that the villagers in Susiya are targeted simply for existing, so everything they do from grazing sheep to visiting family members in the nearby city of Yatta draws violence from the Israeli military and the local settlers. Susiya has faced six mass demolitions since the establishment of the Israeli Suseya colony in 1983. 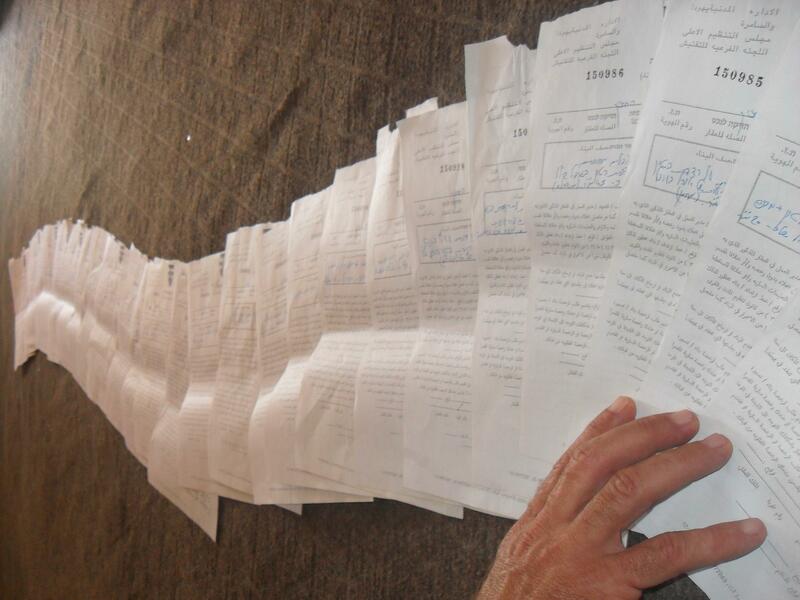 The last wave of demolitions in 2011 repeatedly displaced 37 people including 20 children . 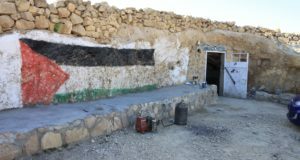 Residents of Susiya, most of whom rely on subsistence agriculture, are subject to some of the worst living conditions in the West Bank. Their houses were destroyed by Israeli forces and they now live in tents and shelters, paying more than five times the price nearby villages pay for water and consuming less than 1/3 of the WHO standard per capita . 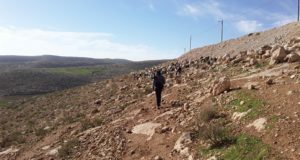 Settlers have violently denied Susiya residents access to over 300 hectares of their land, including 23 water cisterns. Documented cases of settler violence include beatings, verbal harassment and destruction of property. Settlers then annex parts of the land by exploiting the Palestinian owners’ inability to access their land. Of over 120 complaints that have been filed based on monitoring from Rabbis for Human Rights, regarding settler attacks and damage to property, around 95 percent have been closed with no action taken. In 2010, when 55 Susiya residents petitioned the High Court to be granted access to their land, the State responded that it intended to map land ownership of the area. Since then they have only closed to settlers 13% of the land Palestinians have been denied access to, reversing only one incursion . Strickland, Patrick O. “Palestine’s Front Line: The Struggle for Susiya.” Palestine Note RSS. N.p., n.d. Web. 27 June 2013. “Susiya: At Imminent Risk of Forced Displacement.” Susiya: At Imminent Risk of Forced Displacement – OCHA Factsheet (30 March 2012). N.p., Mar. 2012. Web. 27 June 2013. “South Hebron Hills.” Khirbet Susiya. N.p., 01 Jan. 2013. Web. 27 June 2013. Al Mufaqarah. “Al Mufaqarah R-Exist.” Weblog post. Al Mufaqarah RExist. N.p., 24 June 2013. Web. 27 June 2013.